Rental property management is one of the smartest investments you can make if you’re leasing out homes and apartments. Real estate agents who specialize in property management can take a great deal of work off your hands so you can maximize the earning potential of your properties without diverting attention from other responsibilities. If you’re getting into the business of rental properties, here are a few reasons why you should consider the benefits of Atlanta-area rental property management. Your tenants will make or break the experience you have as a rental property manager. Get the right tenants into a property, and you’ll see great returns on your investment. Get the wrong tenants in, and you’ll be dealing with late rent payments, property damage, and costly evictions. Real estate agents can perform the screening process for you, so you don’t have to worry about things like pulling and interpreting credit reports. In addition to taking this task off your plate, your real estate agent will help protect your investment, as he or she will be familiar with the legal guidelines for screening in your area. As a property manager, maintenance is your responsibility , but getting a call every time something breaks can be a hassle. Instead, let a rental property manager handle the job for you. Property managers can arrange landscaping and routine or emergency maintenance on all of your properties. Because real estate companies that specialize in property management deal with multiple properties, they can usually secure better deals for these services than you could individually. If you have multiple rental properties, simply dealing with collecting rent and any necessary late payments can be a time-consuming task. A property manager can keep up with money collection and manage the accounts for your properties so that you only need to collect a check. 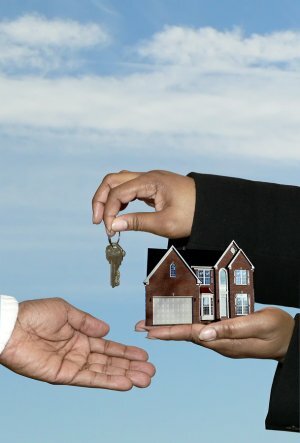 Realty 1 st is a family-owned real estate company in Atlanta. Our real estate agents have two decades of experience serving the Atlanta area, and our long list of awards and affiliations set us apart from other real estate companies in the area. Our agents work closely together as a team, so our clients get the benefits of every team members’ talents when they are buying or selling a home. In addition to traditional buying and selling, our real estate agents are certified short sale specialists and can help sellers get out of mortgages quickly so they can get a fresh financial start. We also provide rental property management services, including tenant screening, rent collection, property maintenance, and much more. Our full-service real estate company works with buyers and sellers alike from all over Atlanta and the surrounding communities, and no sale is too big or too small for our agents.